How can you measure a brand's relevance to today's culture? That's the core question behind JWT's new research methodology, Culture Muscle, which polls consumers on how brands relate to a dozen cultural trends, including the proliferation of choices, health consciousness and the idea of "you only live once." Two agency executives behind the research—global director of brand intelligence Mark Truss and global planning director Adrian Barrow—explain why Subway ranks highly in health consciousness (despite largely selling processed meats) and why consumers don't associate MasterCard strongly with the YOLO mindset, even though the company and lead agency McCann Erickson have created scores of ads around unique experiences. I understand that Doug Holt's book, How Brands Become Icons, inspired this type of research. Barrow: Yeah, there has been quite a lot of stuff written over the course of five or six years. And I would probably throw an arm around Malcolm Gladwell's work, the work that Holt has written about, Grant McCracken. There have been a lot of fringe players who have written about the importance of culture generally and understanding how culture is changing, how fast culture has changing. We thought that it would be great to take a lot of that foundational learning and apply it to how brands behave in communications and innovation. So, we really picked up on a lot of the learnings that we'd read in a lot of those books. Barrow: Holt talks a lot about how individuals in modern economies derive their identity from culture—how they not just derive their personal identity but how they derive a cultural identity. And if you think about a lot of what modern branding is about, it is about communications that define a brand idea that people use as part and parcel of their cultural identity. And not just badge brands, but everyday brands: technology brands, media brands, service brands like Starbucks. Truss: We have a whole 30-slide presentation on that! It's tricky. One of the first things we learned is you go in thinking you sort of understand culture. Then you start listing out everything that's part of culture and you start to learn very quickly that it's much more than the Metropolitan Opera and going to museums. In our definition we identified 12 primary buckets of culture, which go from the stereotypical buckets of culture of arts and pop culture [to] everything else. It's the food we eat, the media we consume, the languages we speak and how language evolves. 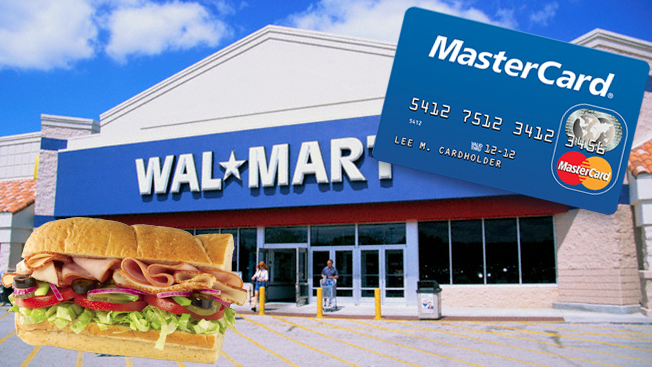 What do you make of Walmart's association in your survey with ethical business practices? Truss: They get dinged a lot in the media for the things they do [that are] bad, but from a consumer perspective a lot of the things that they're doing to make good and do the right thing—it's starting to come across to consumers because they're getting credit for that. How much of that do you attribute to the company being more outspoken? Truss: I give them a lot [of credit] because part of the thing we learn in Culture Muscle too is that if brands talk about issues like Walmart is and it doesn't feel genuine or authentic, consumers can spot it really quickly. … I think what Walmart is doing now—their customers believe it, feel it's real and they're getting a lot of payback for that. How does Subway's marketing of pressed meats square with its high ranking in healthier living? Truss: I haven't seen the data of how much of its sales is generated from the healthier menu items versus the less healthier menu items, but they've certainly created the perception that they are a healthier choice. I think that's what's working well for them. People may go in with all intensions of buying the tofu sandwich but then get the meatball Parmesan one because they can't help themselves. That's the way it is. Why does MasterCard rank so lowly in "you only live once," given the imprint of its long-standing Priceless campaign? Truss: We were a little surprised with that, too. And then we wondered whether it was just a function of it's just wearing out a little bit and it's becoming a little, "OK, we've seen that a hundred times and it's cute, but now it's becoming a little wall-papery to me." I don't know the answer. Barrow: It's potentially an interesting question to double-click on and to look at some more analysis on because what we have seen—even in the time we've been doing this within America—is that culture is changing rapidly. The ideas that have currency in 2015 are not necessarily the ideas that had currency in 1985 or even 2012. So, one of the things we're going to wrap our arms around is this idea that relatively frequently—and I'd say at least every year—we're going to have to re-think through the shifts that are the most important ones that we're going to be baking into the core of this methodology. Because there's no point in having a whole range of shifts that people don't see as being shifts. They see it as something that has already shifted and no longer has social or cultural currency. And specifically how does that relate to MasterCard? Barrow: The idea that there are some things more important than money certainly was something that both Citibank and MasterCard were talking about 15 years ago. I don't know if it has the same sort of salience today. You can read a full report on JWT's Culture Muscle research here.